11 of the best Record Store Day 2017 releases | What Hi-Fi? 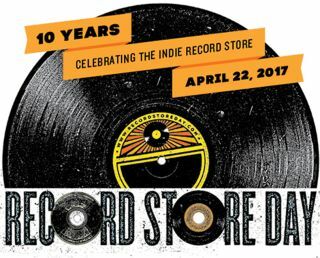 The 10th annual Record Store Day 2017 is tomorrow! Released in 2005 as a DVD and in 2006 on CD, it’s now available for the first time on vinyl – in a numbered release, as four LPs. This is an essential document from a time when the world at large was just becoming aware of the potency (not to mention remarkable stamina) of Springsteen and his band. A 10-inch picture-disc limited to just 500 copies, this is an EP of selections from the actor’s final album (from 2014, when he was aged 92). Be in no doubt: Christopher Lee’s affection for, and devotion to, heavy metal was deep and abiding. A 40th anniversary release of 500 copies, and including a recently discovered ‘vocal mix’ that will be available only on this pressing. Heart of the Congos remains an essential slice of conscious roots reggae, and features production from Lee ‘Scratch’ Perry when he was arguably at the height of his loony powers. Finally available on vinyl (and as two LPs, no less) for the first time since its release in 2001, The Cure’s Greatest Hits is a treasure-trove of danceable goth. Moody and ecstatic by turns, there are more hummable melodies here than you could shake a black-clad back-combed stick at. T.Rex didn’t release a live album in Marc Bolan’s lifetime, and consequently archive recordings of audiophile quality are rare. Live 1977 has been mastered from cleaned-up-as-much-as-possible tapes and is served up on a pair of blue/green LPs. The none-heavier debut from the none-heavier band, as a RSD-exclusive triple clear-vinyl LP pressing with bonus tracks and What’s Words Worth? live album. Just equip yourself with an amp that goes up to 11 and prepare for the ear-bleed. Decade is a Neil Young best-of that’s long-since been deleted on vinyl. Back exclusively for RSD2017, it is presented as three 140gm discs with a couple of art prints thrown in too. Here it is: the RSD2017 jackpot. An 11-minute, previously unreleased version of an already celebrated wig-out, as a one-sided 180gm 12-inch single that plays at 33.3rpm. Plus a poster and postcard. Form an orderly queue. There are a few Prince releases for RSD2017, but this is our favourite – a masterful demonstration of the true art of pop music. There are no bells and whistles with this reissue, beyond the chunky 140gm of the 12-inch vinyl, but the song speaks for itself. You could argue it’s the same song over and over again, and you’d have a case. But the thrill of Ramones lies partly in their pin-headed truculence, and on these ten 43gm 7-inch singles they’re as clever/dumb as pop music ever gets. It’s been 25 years since Copper Blue was first released (and became NME’s 1992 Album of the Year, no less) so by way of celebration it’s being reissued along with double Live at The Cabaret Metro 1992 album on silver, gold and blue LPs.